This week’s pick is the latest title from one of the loveliest ladies in beauty, Aisling McDermott. 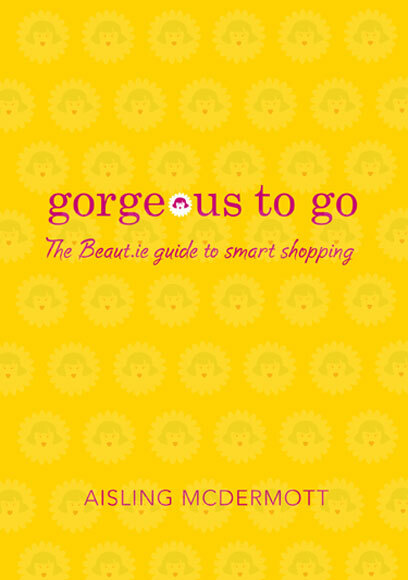 Gorgeous To Go is written with the same engaging wit and refreshing honesty that we’ve come to expect from the fabulous McDermott sisters, who founded beaut.ie back in 2006 and in so doing, made it somewhat socially acceptable to care far too much about lipstick. The perfect size to pop into your handbag, Gorgeous To Go is packed full of tips, tricks and insider info to decode and demystify the cosmetics market, helping you make informed choices about which beauty products are right for you. Don’t go shopping without it! Gorgeous To Go is out today, costs €12.99 and is available from all good bookshops or online here and here. Great pick, I'm really loving this book and am planning a spree so I can pick up my favourite items from it. Me too, almost missed my bus stop cos I was so engrossed! Really well written and thought out but sure you'd expect nothing else!